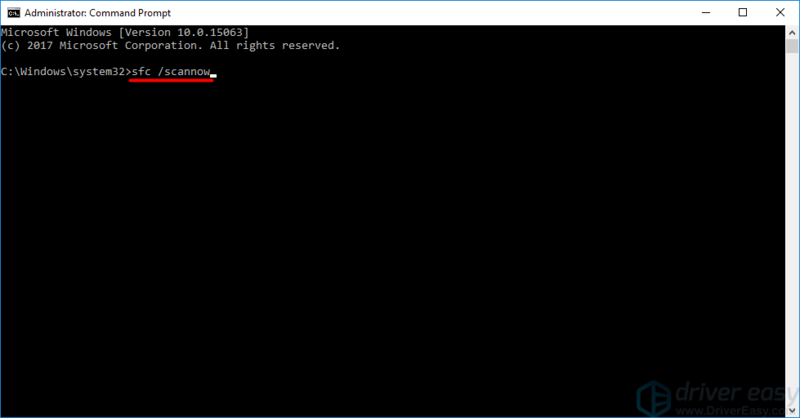 If you are on Windows 10, and you are seeing a “side by side configuration is incorrect” error, you are not alone. 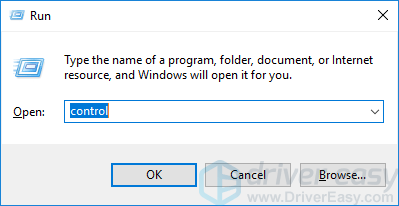 Many Windows 10 users have reported that they have encountered this error after they tried to launch, install or uninstall a program. But the good news is you can fix this error. Here are four fixes you can try. You may not have to try them all. Just work from the top down until you find the one that works. If you see this error when you try to install a program, it is possible the installer or installation package is corrupted. In this case, you should download a correct installer to set up the program. You can download its latest version from the program’s official website. Then try installing it on your computer. If the error came from the original installer, you won’t see the error now. 2) Type “control” and press Enter to open Control Panel. 3) Select Large icons in the View by drop-down menu. 4) Click Programs and Features. 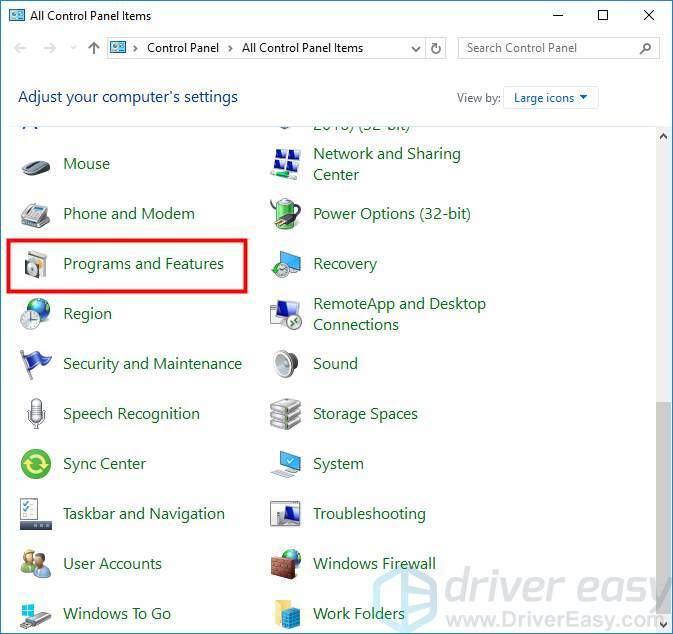 5) Right click the problem program and select Uninstall. 6) Download the latest version of your program from the its official website and install it on your computer. 7) Launch your program and see if this fixes the error. 5) Delete every Visual C++ Redistributable (right-click on each of the programs with the name of “Microsoft Visual C++ XXXX Redistributable” and then select Uninstall). 6) Go to the Microsoft Visual C++ downloads website to download the programs you have just uninstalled. Then install them on your computer. 7) Restart your computer. If this method works for you, the error won’t bother you again. 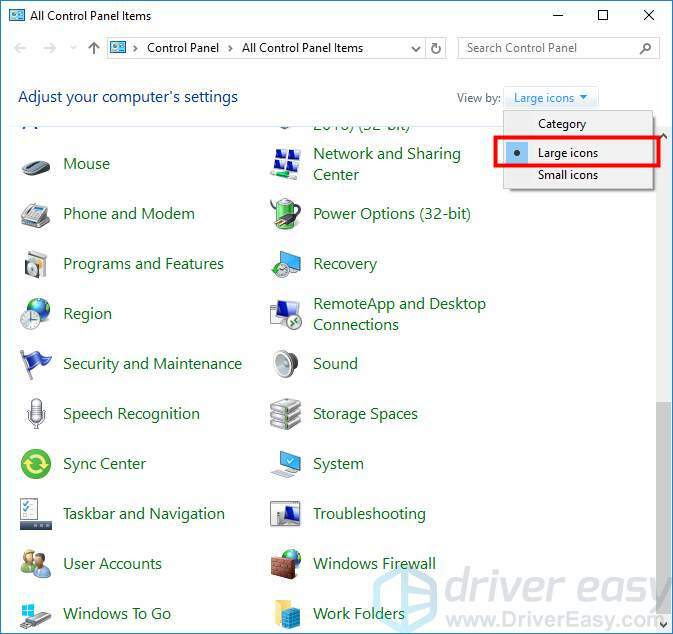 1) Click the Start menu (the Windows logo) at the bottom left of your screen, then type “cmd“. 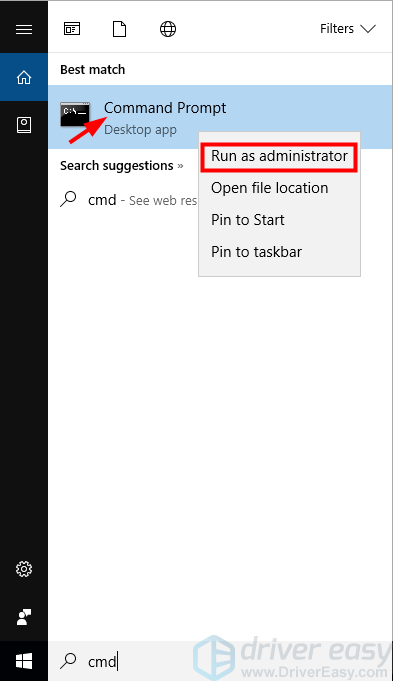 2) Right-click “Command Prompt” and select “Run as administrator“. 3) Type “sfc /scannow” and press Enter on your keyboard. 4) Wait for the scan to complete. Then check to see if the error is gone. 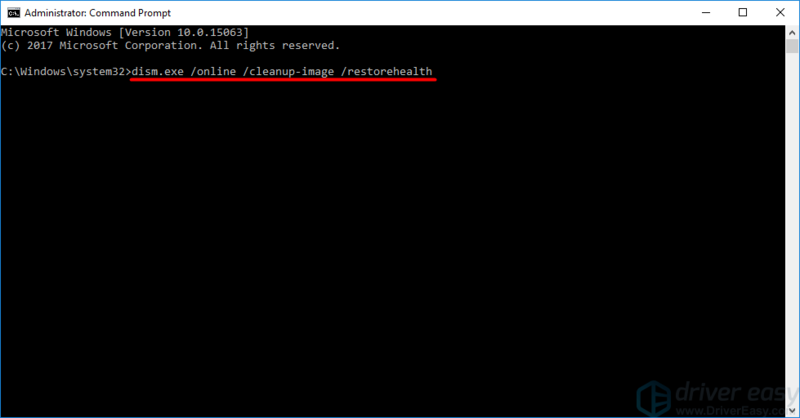 5) If the problem persists, go back to Command Prompt, and then type “DISM.exe /Online /Cleanup-image /Restorehealth” and press Enter. 6) Wait until the process completes. Then check to see if this fixes the error. 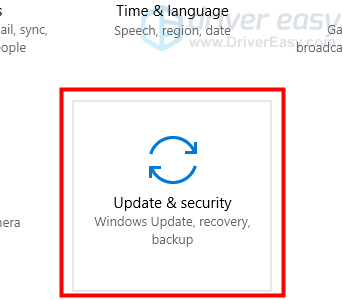 If none of the methods above can help you, you should try resetting your Windows 10 to fix the error. IMPORTANT: This will remove all your files and programs. So before you go on, you should create a backup of your important files and put it into a safe place. 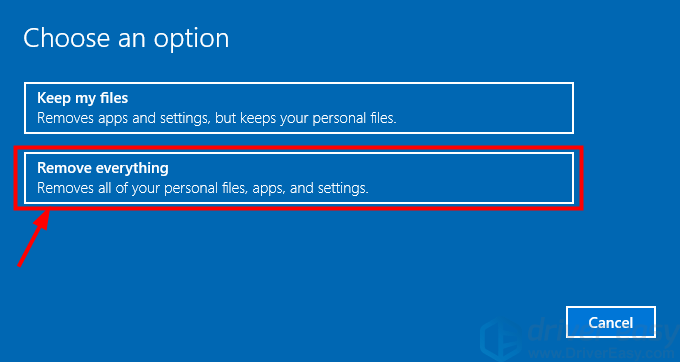 1) Click the Start menu (the Windows logo) at the bottom left of your screen, then select Settings (the gear icon). 4) Wait for the system to complete the resetting process. 5) Install and launch the program that caused the error. If this method works, you won’t see the error any more.